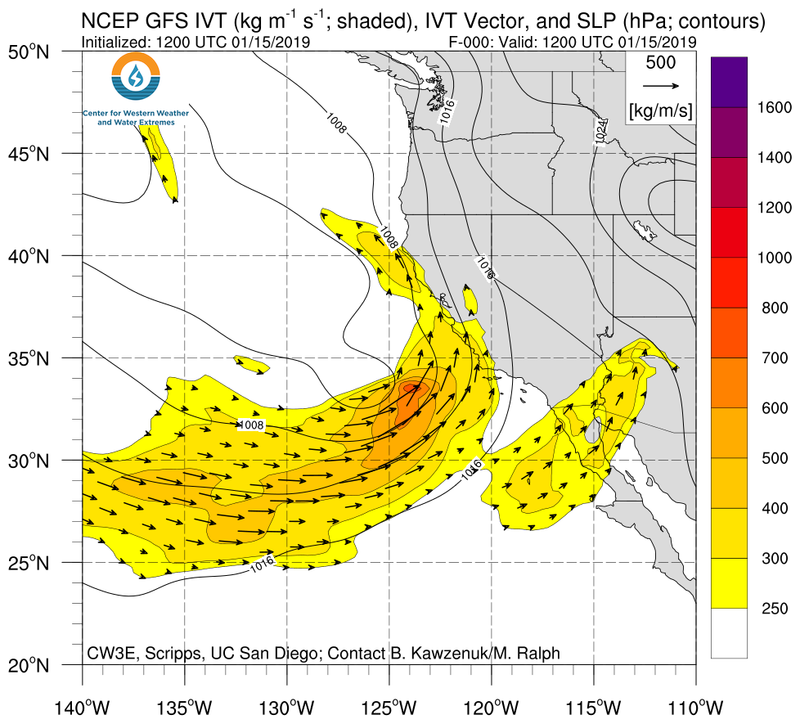 A moderate strength AR is expected to make landfall over the U.S. West Coast during 17-18 January. 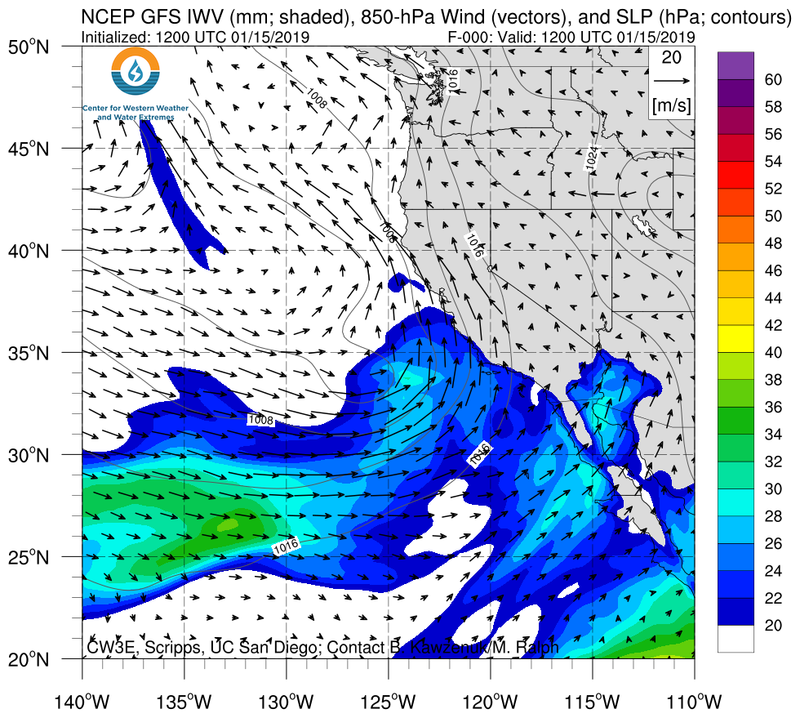 This AR is expected to produce up to 10 inches of precipitation over the Sierra Nevada in 72 hours. A second AR is expected to make landfall over the Pacific Northwest during 19-20 January. An additional 1-2 inches of precipitation over CA and 4-5 inches of precipitation in WA and OR could be produced from the second AR. Lake Mendocino storage levels are currently near the top of the Water Supply Pool and precipitation this week could push storage levels into the Flood Control Pool.